April 24 – Just showin’ off my nice clean ears. hahaha, that’s funny! 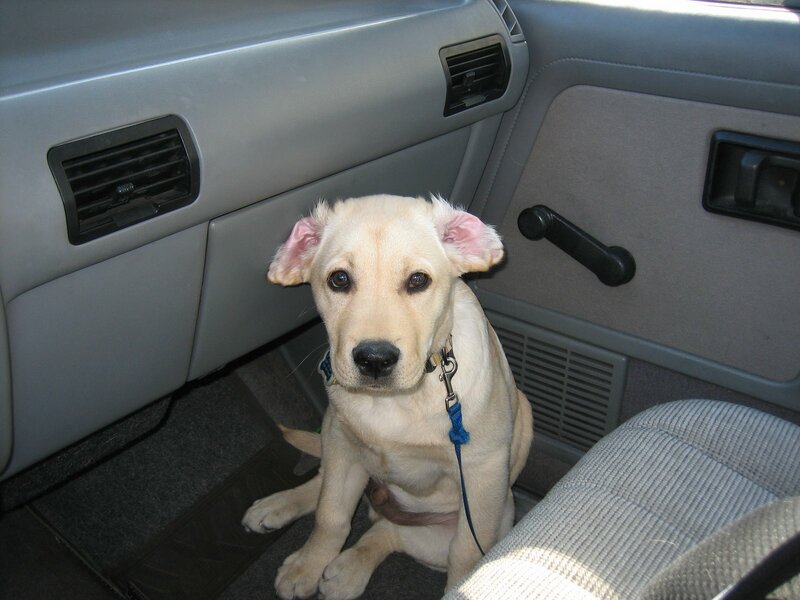 Good puppy on the floorboards of the car! I could never do that with Uma’s ears – she would immediately shake or put up a paw to comb them down. But Rockwell would sit there for hours with his ears inside-out. So cute. Julia, I don’t do it to him — he does it all by himself. I’ll just look down, and there he is, all silly and batlike. Truman you make me laugh….